Industrialist - Chairman of Dobson & Barlow of Bolton, one of the world's leading manufacturers of textile machinery. Grandson of the nephew of Isaac Dobson. Studied as a civil engineer and entered Dobson & Barlow's Kay Street works in 1871. His initial reputation as a benevolent paternalist was somewhat tarnished by his use of imported blackleg workers - known as 'knobsticks' at the time - during the bitter and often violent engineering strike of 1887. He joined the Bolton Infantry Volunteers (2nd Volunteer Battalion Loyal North Lancashire Regiment - then known as 27th Lancashire Rifle Volunteers) as an Ensign and rose to the rank of Lt Colonel and second in command. Awarded the Volunteer Decoration for 20 years service as an officer. He wrote books about the spinning industry and held several engineering patents. Represented North Ward 1874-80. Alderman for North Ward and Magistrate from 1880. Made a Chevalier de la Legion d'honneur for services to French industries. As Chairman of the Park and Burial Board Committee he cut the first sod of Heaton Cemetery 11 April 1878. He laid the cornerstone for the Episcopal Chapel in Heaton Cemetery 15 March 1879 and opened the lattice girder 'Dobson Bridge' in Queen's Park on the same day. Opened the Chadwick Museum in Queen's Park 12 June 1884. 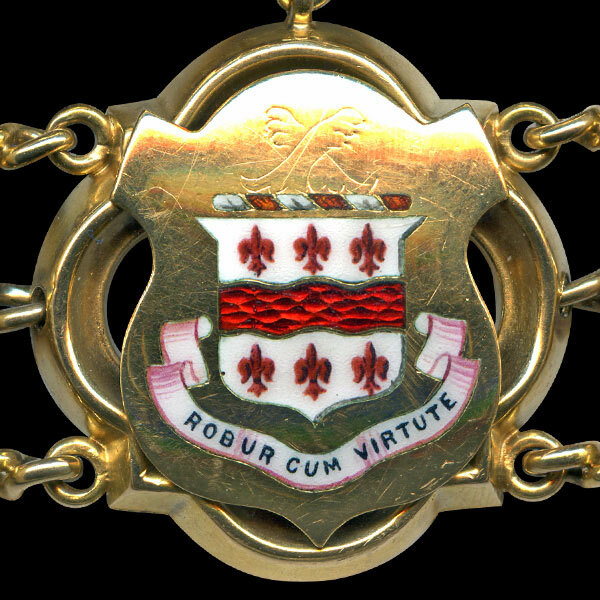 His wife, Coralie, was the first Mayoress to wear the Mayoress's Chain and Badge which were presented to her on 9 May 1895. 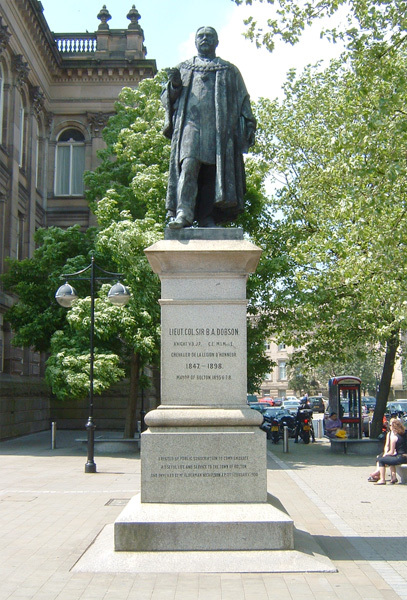 A statue of Dobson, purchased by public subscription, is situated to the right of Bolton Town Hall in Victoria Square and was unveiled by Alderman William Nicholson on 17 February 1900. His great grandson, Christopher Brian Spencer Dobson was a lawyer, politician, comedian and actor who co-wrote the screenplay for Nicholas Roeg's 1973 film "Don't Look Now" under the name Chris Bryant. 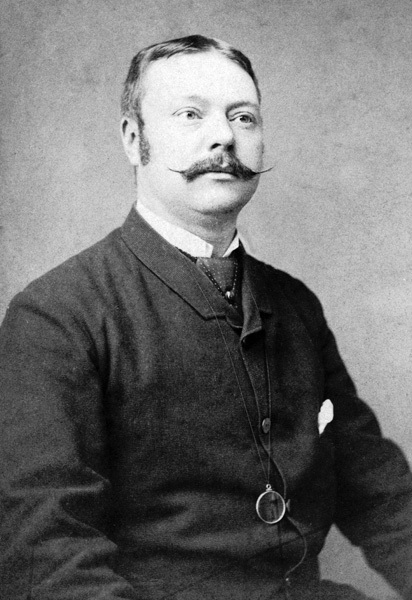 Portrait of Benjamin Alfred Dobson as young man. He already sports a monocle. 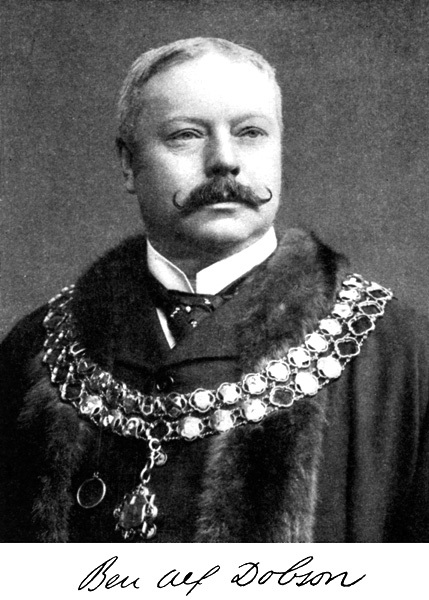 Formal portrait of Benjamin Alfred Dobson as Mayor of Bolton. 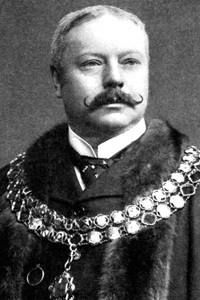 Formal portrait of Benjamin Alfred Dobson as Mayor of Bolton and holding his trademark monocle. This photograph was almost certainly used as the model for the statue of Dobson on Victoria Square. 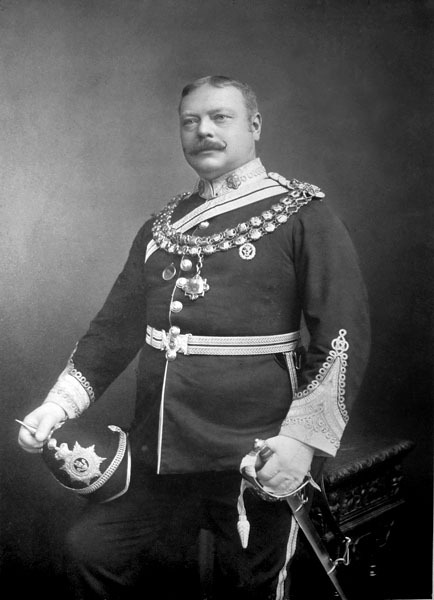 Formal portrait of Benjamin Alfred Dobson as Mayor of Bolton and wearing his dress uniform as a Lt Colonel in the Loyal North Lancashire Regiment. He wears the Volunteer Decoration on his left breast. The statue of Dobson to the right of Bolton Town Hall in Victoria Square was unveiled by Alderman William Nicholson on 17 February 1900. It was modelled by Manchester sculptor John Cassidy. 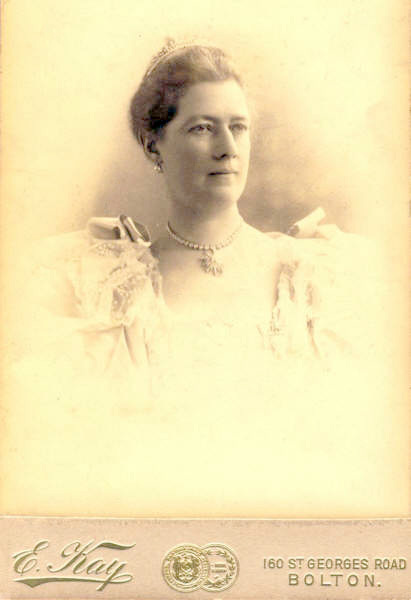 Portrait of Lady Coralie Dobson née Palin (1852-1904), wife of Benjamin Alfred Dobson and Mayoress of Bolton. 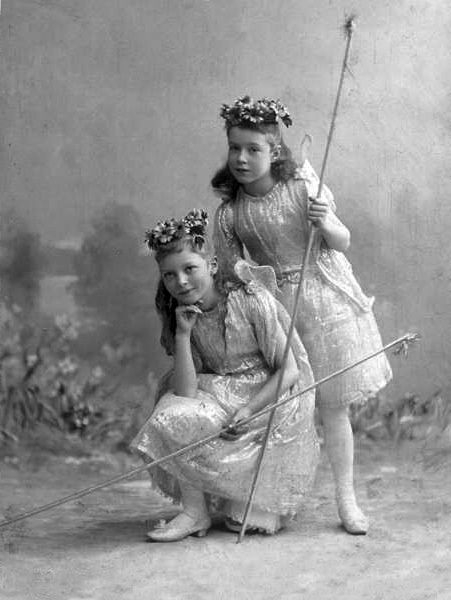 Portrait of 'the Misses Dobson' - two of Benjamin Alfred Dobson's daughters posing in costume c. 1896/7. 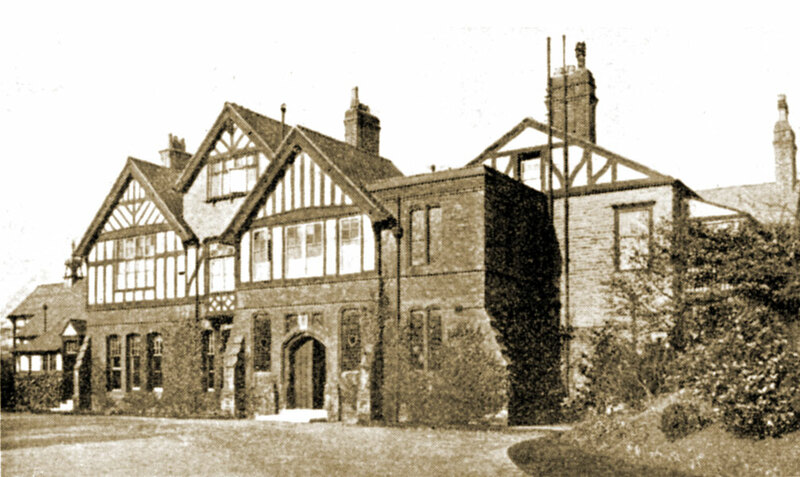 Photograph of 'Doffcockers', the house that Benjamin Alfred Dobson built for his family and which was demolished in the early 1900s, shortly after the death of Lady Dobson. 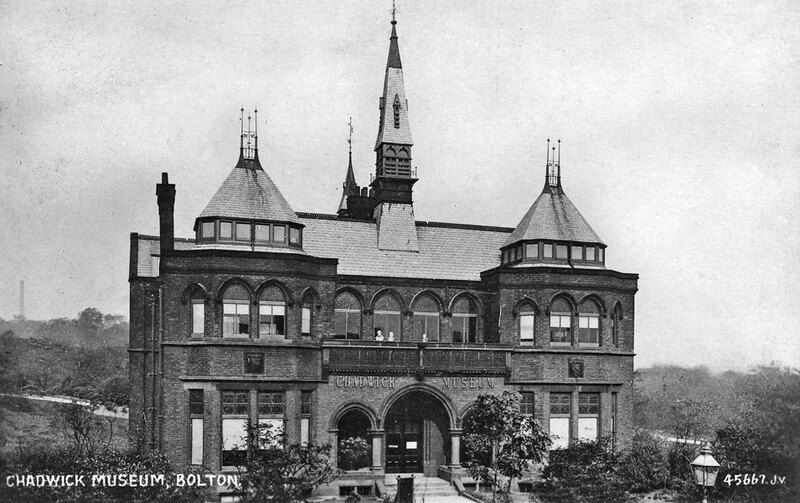 The Chadwick Museum in Queen's Park, Bolton opened by Benjamin Alfred Dobson on 12 June 1884 and financed through a £5000 bequest by Dr Samuel Taylor Chadwick. Dobson was a major supporter of the museum, facilitating and donating exhibits. The building later fell into decline and was demolished in 1956. 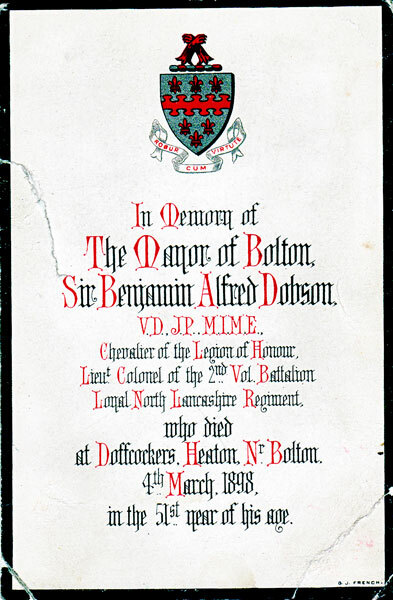 1898 memorial card for Benjamin Alfred Dobson showing a slightly different rendering of the Dobson family arms. 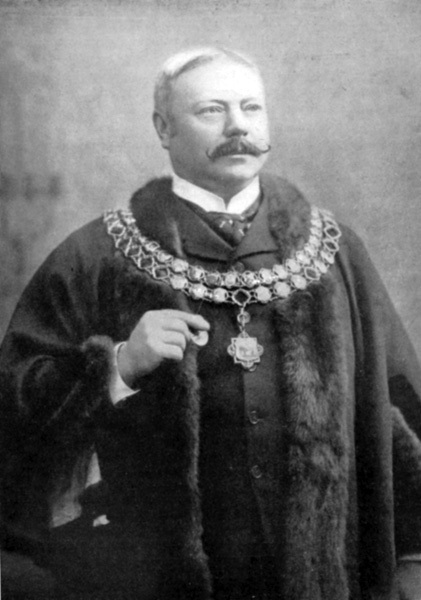 Benjamin Alfred Dobson's link on the Mayor of Bolton's Chain of Office. 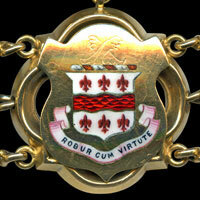 Argent a fess nebuly between six fleur de lys gules. Crest = On a wreath argent & gules two lions' gambs erased and in saltire or. Similar to other Dobson coats in Lancashire and in Norfolk, there is strong evidence for accepting this as a genuine grant.